CHICAGO (WLS) -- A Chicago man was charged in two burglaries on the West Side. Police said the incidents occurred in the 1300-block of West Chicago Avenue on July 6 and in the 1000-block of West Taylor Street on July 20. 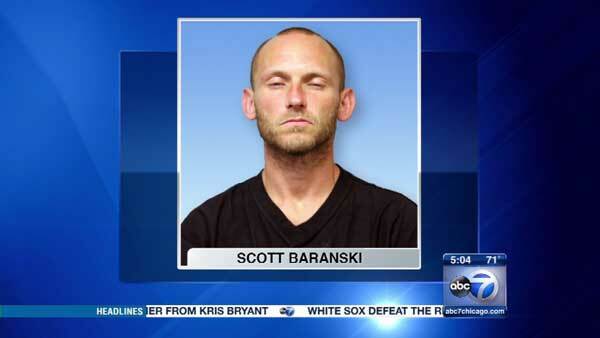 Scott Baranski, 34, was arrested after police identified him as the suspect in both burglaries. Baranski, of the 2700-block of West Harrison Street, was charged with two felony counts of burglary and one misdemeanor count of possession of drug paraphernalia.